Holiday season is fast approaching! It is the most wonderful time of the year filled with gifts, toys, family gatherings, delicious food and celebrations. We want to treat our loved ones with the best. While the abundance of gifts in stores can blow your mind, during your holiday shopping it is a good idea to consider warehouse sales around the city where you can find real treasures and buy presents paying much less. Recently I had a chance to visit & shop at Pop! 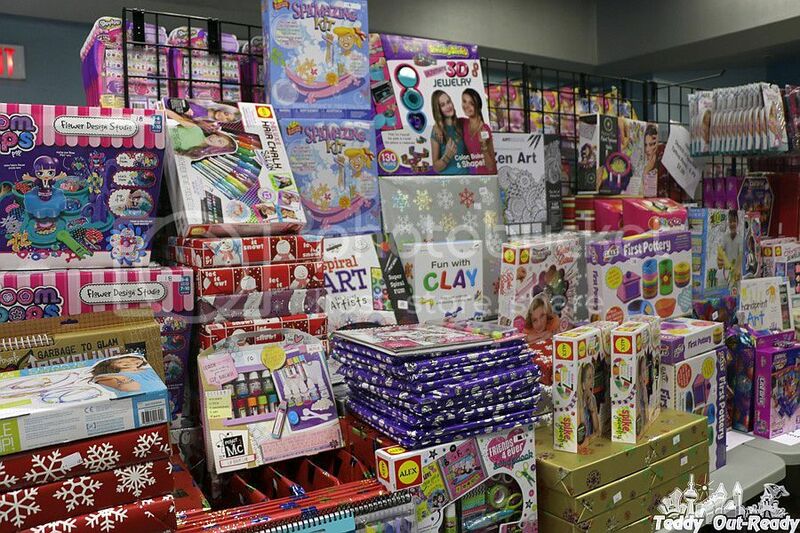 Events Group Toy and Gift Warehouse Sale. Pop! Events Group specializes in organizing corporate and public family events. 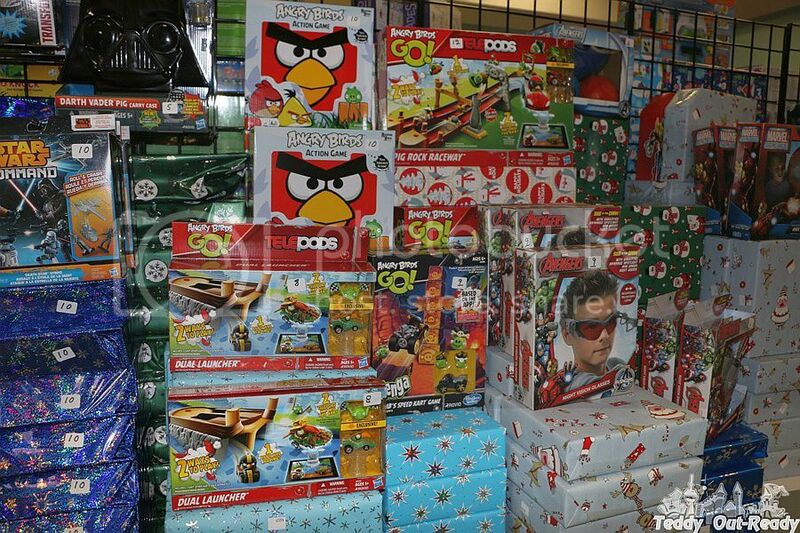 Their expertise in toy industry is out of question as they meticulously choose toys and gifts for the events. The company definitely knows which gifts children want for holidays and, probably, secretly works for Santa Claus. Pop! 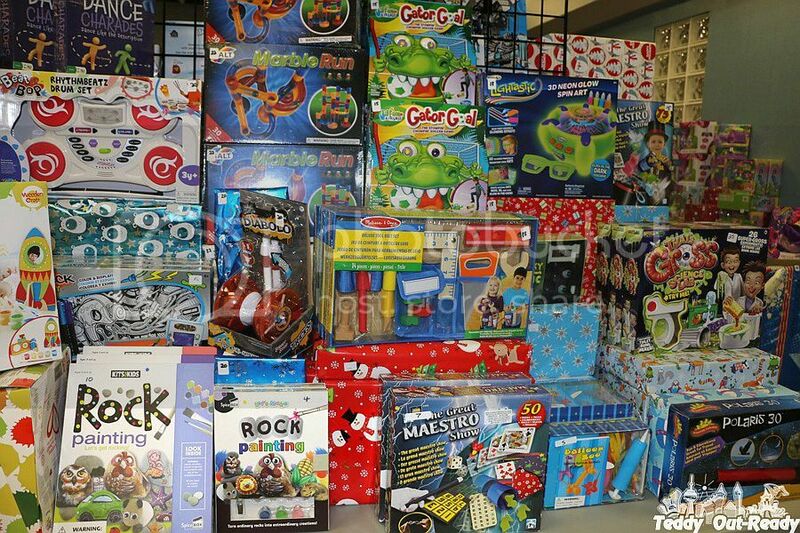 Events Group annual Toy and Gift Warehouse Sale is the place you want to check. 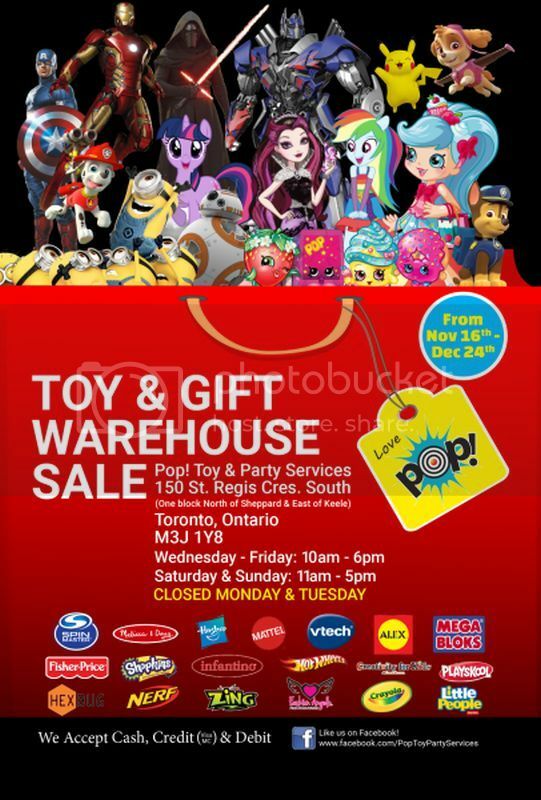 They sell a lot of kids favorite brands: Shopkins, Vtech, Spin Master, Mega Blocks, Hot Wheels, Hasbro, Melissa & Doug, Playskool, Mattel, Fashion Angels, Nerf, Zing, Crayola, Little People, Alex, Fisher-Price, Hexbug, Creativity for Kids, Infantino and much more. 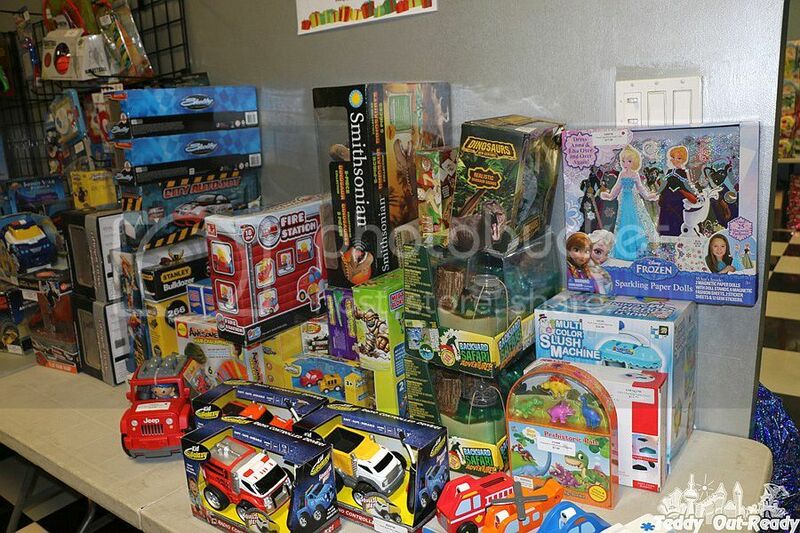 You can find many items for babies, preschoolers, school children and teens there. 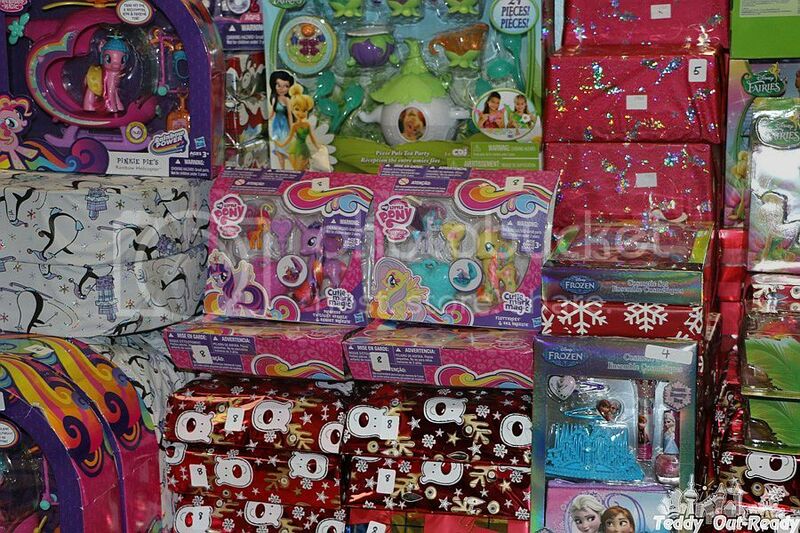 Disney and Barbie fans can get favorite toys and activity kits. There are various interesting products for creative minds from painting rocks to creating complex blocks. 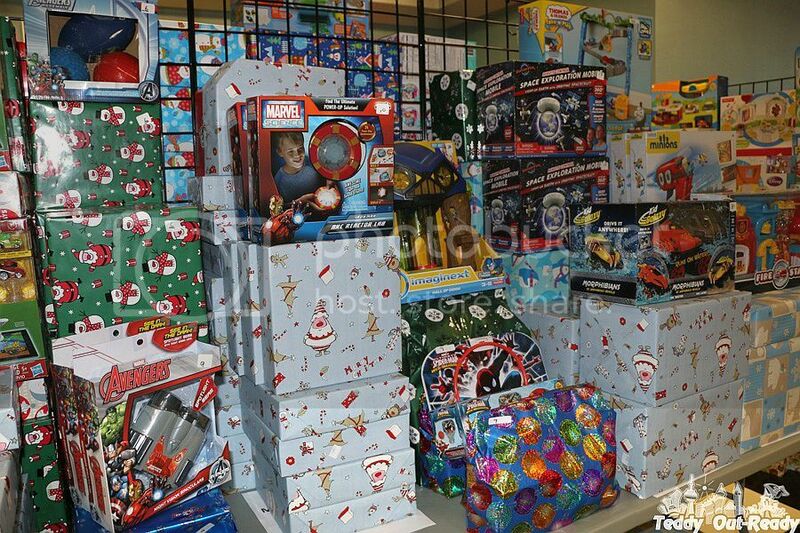 The whole warehouse is very well organized based on toys, themes, characters and child age the products designed for. The rooms and tables are always kept clean and tidy. There are three major rooms: Sample Room, Last Sale Items and Major Room. I suggest you first check Last Sale Items room where you can find the items like last one in series and heavily discounted. For example, I got Teddy TMNT Mega Blocks Turtle Ninja Michelangelo toy for $2 and a hair brush for just $1. Then visit Sample Room, where you can find the items with a price tag on it, so you can get anything in with 40% off. These products there were in showrooms across Canada, so they are all pretty new items. In Major Room you can find a wide selection of new toys and gifts. The best part, some of them already wrapped, so you can skip tedious wrapping and simply put a present under the tree. I bought Shopkins set, Star Wars figurines, Mega Blocks set and lots of crafts items. Toy and Gift Sale runs until December 24th. Open Wed to Fri: 10am - 6pm, Sat & Sun: 11am - 5pm.